The MB-66V, a compact, double column structure machine, achieves unmatched dimensional stability over long operations with Okuma's Thermo-Friendly Concept. 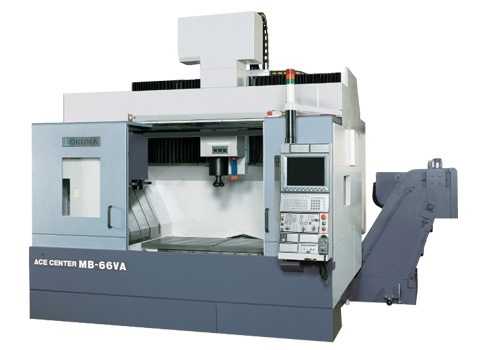 This vertical machining center is equipped with a fast and powerful 40-taper 8,000 rpm spindle with a 15hp VAC integral motor and bidirectional spindle cooling. This model incorporates a high-speed 20-position automatic tool changer and 1,574 ipm rapid traverse, offering high production capabilities. Watch the MB-66V in action.